Do You Report Paid Excise Tax in Massachusetts? 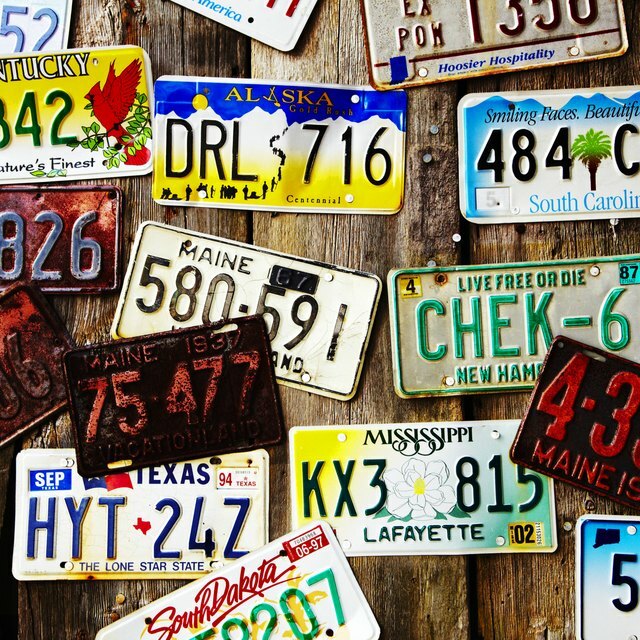 Can a Car's License Plate Fee Be Deducted on Federal & State Taxes? If you live in Massachusetts, you’ll pay an excise tax when you register a car. Depending on the type of vehicle you buy, this tax can be fairly high, but the good news is that you can claim the fee when you file your federal taxes. In many states, residents can’t claim their vehicle registration fees, so if you’ve moved from another state, this may be a bit confusing. But the difference is that Massachusetts is one of many states that assesses a fee based on the value of the vehicle, which makes it deductible as personal property tax. In the state of Massachusetts, residents are required to pay an excise tax when they register their vehicle. Although this can be fairly expensive, it is possible to report this tax as a deductible expense. Even though you benefit from a tax deduction by living in Massachusetts, there’s no room for celebration. The state ranks among those with the highest car tax. When you register your vehicle in Massachusetts, you will be charged $25 for each $1,000 of valuation on the vehicle. The Department of Motor Vehicles uses official listing sources to determine the value of a vehicle, so the actual amount you paid to purchase it is irrelevant. They apply their own formula to determine the car’s depreciated value, which means the condition of your individual vehicle is not considered when the department makes its valuation. Your car’s value will be reassessed each year, with a bill sent to you for the new amount. The American Recovery and Reinvestment Act of 2009 allowed vehicle owners to claim the cost of excise tax on their federal tax return if they purchased a new vehicle. This was designed to stimulate spending, helping American auto manufacturers. But this is no longer the case. However, Massachusetts is one of the states where excise tax is classified as personal property tax, which means you can claim it on your federal tax. The difference is that in other states, the fee is seen as a tax on a service, similar to water or electricity, whereas in Massachusetts, the fee is seen as a tax on property you own. To qualify for a deduction on personal property tax, it must be charged to you every year and the tax must be based on the value of an item. When filing, you will only be able to claim the excise portion, which means any other fees on top of the $25 per $1,000 of value should not be listed. The tax will be listed on Form 1040, Schedule A. You enter personal property taxes on Line 7. Can License-Tab Tax Be Deductible? In order to claim the excise tax on your vehicle, you’ll need to itemize, which will involve more work from your tax preparer. It might be worth ensuring it’s worth the extra work before you claim it. With the new tax law changes, the standard deduction has nearly doubled. You’ll have a $12,000 standard deduction if you're single or $24,000 if you’re married filing jointly. That means even if you’ve claimed the excise tax in the past, you may be better off taking the standard deduction rather than itemizing, depending on your situation. Boston.com: Is vehicle excise tax a proper write-off for itemized tax deduction?